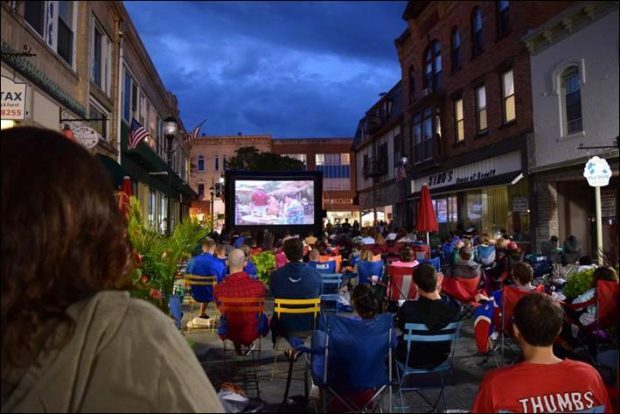 More than a decade ago, the Borough of Somerville decided to redevelop and revitalize its downtown—an ambitious, wide-ranging goal that required thoughtful action. The borough developed and adopted a comprehensive three-step redevelopment plan. 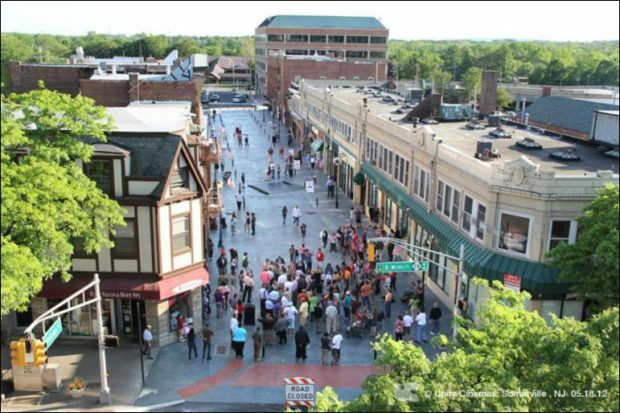 Years later, its implementation of that plan has been rewarded with a thriving, walkable downtown that exemplifies smart growth. Somerville created redevelopment plans for three areas in and around its downtown core. Each area had its own tailored plan, allowing for individuality and flexibility while also contributing to the overall vision of growth. 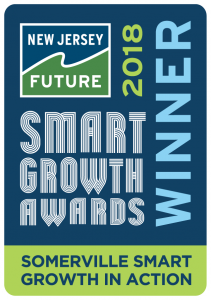 Created with input from residents, local and regional stakeholders, businesses, and Somerset County staff, the plans incorporated smart growth elements such as walkability and access to transit. Some aspects of the plans have been completed successfully; others are still under construction. The first redevelopment area was West Main Street, which included approximately 17 acres. 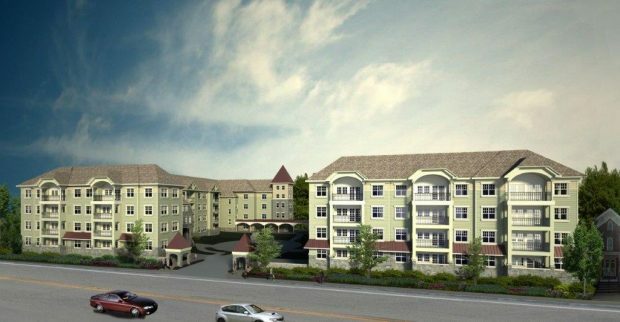 Within walking distance of the NJ Transit Somerville station—and within the boundaries of the designated Borough of Somerville Transit Village—this area was ripe for redevelopment. 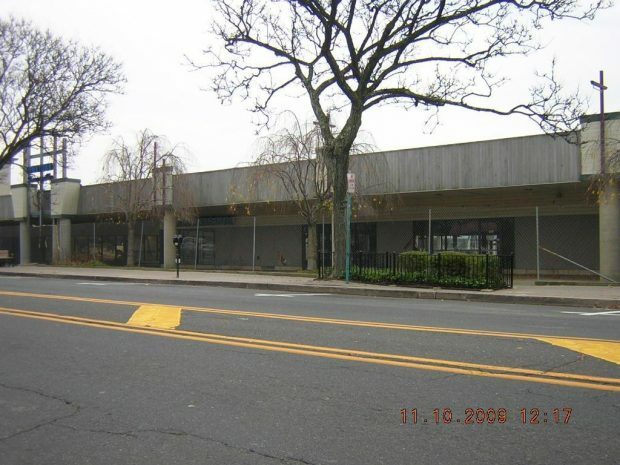 Where there was once a one-story shopping center, the borough constructed a ShopRite grocery store and a five-story mixed-use building with retail space and rental apartments. Providing amenities within walking distance, the location was perfect for commuters. The retail stores and restaurants increased general foot traffic, resulting in a “halo effect” of increased commercial activity for other nearby businesses. The borough estimates that this walkable redevelopment created approximately 230 new jobs and generated an estimated $50 million in new customer spending—a success it plans to amplify by constructing another mixed-used building and a wellness center. The second plan focuses on the East Central Business District, which contains older industrial, residential, and business properties. This district is the site of three redevelopment projects: two residential developments (one completed in 2017, the other under construction) and one mixed-use development. 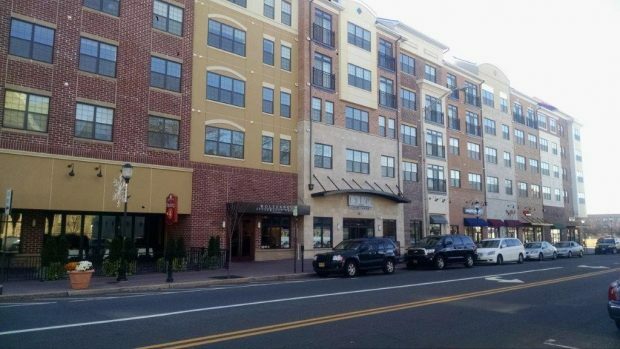 Two of the three projects are within walking distance of the NJ Transit station. These projects will add housing options and commercial activity to the borough, also extending the walkable environment to Main Street. 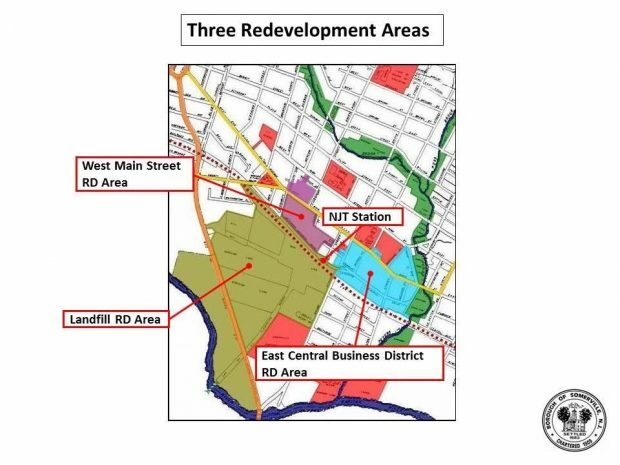 The third area involves the NJ Transit station and a nearby landfill. Previously, Division Street, which connects Main Street to the station, was narrow and unfriendly to pedestrians. It was used mainly as a cut-through for cars. After earning its Transit Village designation in 2010, the borough used a $100,000 grant to rebuild Division Street into a wide, welcoming pedestrian mall closed to vehicles. This appealing destination between Main Street and the station enhanced the vibrancy of Somerville’s downtown. On the other side of the station is a landfill that was closed in 1982. In the early 2000s, the borough commissioned a public visioning study for redeveloping the landfill, but the project was delayed by the financial crisis of 2008. Determined to move forward, the borough sought funding from various sources—including the New Jersey Department of Environmental Protection, New Jersey Economic Development Authority, and New Jersey Environmental Infrastructure Trust—for redeveloping public portions of the site. Currently, the borough is collaborating with NJ Transit and Somerset Development on a redevelopment plan that it anticipates will add more than 30 acres of public parkland in addition to a new mixed-use development. The borough’s smart redevelopment plans have revitalized the local economy and created a walkable downtown that is safe and welcoming for pedestrians. The result is a vibrant, memorable place for both residents and visitors.